Star Wars Battlefront II adds all-new space combat, playable Jedi characters, and never-before-seen environments straight out of Star Wars: Episode III Revenge of the Sith. Fans of the original Star Wars Battlefront will also enjoy an all-new single-player experience that takes players through an epic, story-based saga centering on Darth Vader's elite 501st Legion of Storm troopers where every action the player takes impacts the battlefront and, ultimately, the fate of the Star Wars galaxy. 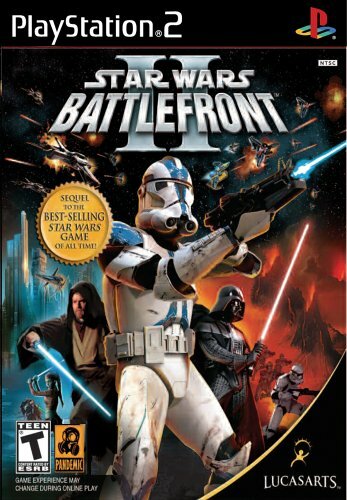 The game features an all-new single-player experience that takes players through an epic, story-based saga where every action the player takes impacts the battlefront and, ultimately, the fate of the Star Wars galaxy.